Sundays at camp remain, to this day, during my tenth summer at Merri-Mac, some of my favorite days. 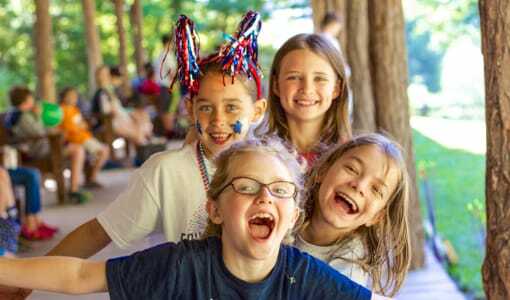 The extra hour of sleep combined with ample opportunities for work on activity bars and free swim made for the happiest of days for campers and counselors alike. A delicious breakfast of cinnamon rolls and oatmeal geared everyone up this morning. In chapel, Merri-Mac Intern Mary Kathryn Stewart spoke about how God dispels our worries, reading from Matthew 6. 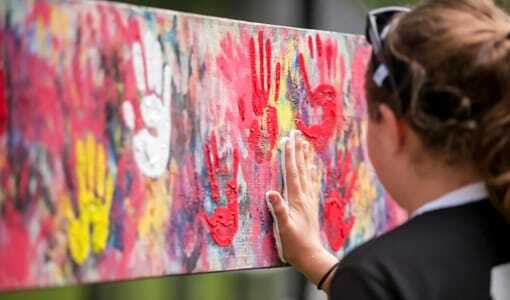 A walk around camp during free time today revealed many ways campers were having fun with their friends. My campers Madison B., Chapel D., Sydney A., and others played the card game Apples to Apples, while many strung up their Eno hammocks in which they read and wrote letters home to you! The tetherball courts were always occupied with various tournaments and games with friends, and the sweet strum of guitar chords echoed over Senior Hill. Sunday’s traditional lunch of fried chicken, green beans, rolls, and mashed potatoes was followed by a complete hour of rest hour—a welcome respite from a busy week. After rest hour, most cabins planned activities together! Sunnyside and Cloud Nine cabins played Laser Tag, a new camp favorite, and the Tweedle cabins made cookies in the kitchen! Blue Heaven went frog-catching at Lake Doris, and Dreams Begin tried their hand at paintball. 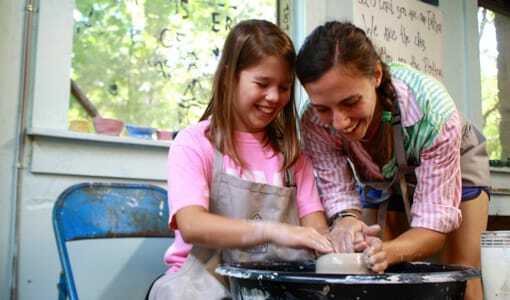 Younger cabins opened their doors for spas and nail-painting parties. Tonight, Milky Way is sleeping out in sleeping bags at the Mark, a pavilion area on top of a hill at camp, and Stardust is building a campfire to roast s’mores before they undergo “Stardust Initiation,” complete with glitter. 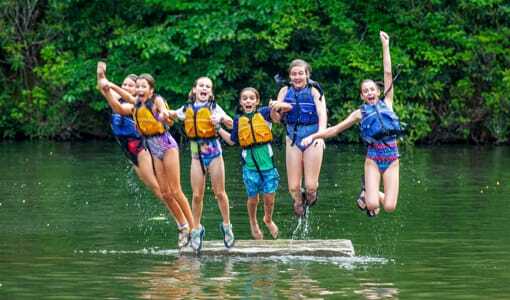 These times together in cabins are among the most memorable for the campers as they form new memories together and often participate in activities they would never be able to do otherwise. Playing paintball alongside my campers today was a brand-new experience for me and a joy that matched theirs. Some girls got to leave camp today for some special trips! Jess T., Morgan P., Audrey S., Emma B., Eleanor E., Samantha F., Britta B., and Idalia D. embarked on a Climbing trip to the Chimney Rocks, putting their climbing skills learned at camp to the test in the wilderness. For the next two nights, there is a Backpacking trip out to Skinny Dip Falls with Olivia K., Bella H., Isabeau C., Viki M., and Ashton G. Two-night Backpacking trips are so impressive that they count as a mark toward White Feather! Speaking of White Feather, we are extremely proud to announce that Sunnyside campers Anne Dillon L. and Caroline A. have been awarded the honor of White Feather today. 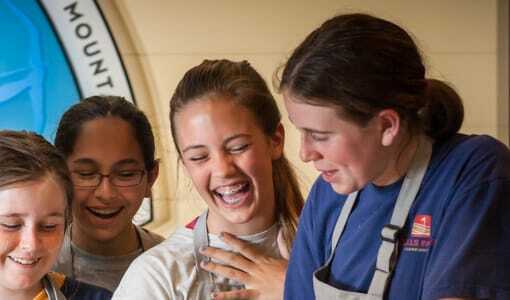 The system of White Feather is determined by subjective, objective, and elective components, including commendations from the girl’s counselors and fellow campers, bars earned, and special activities completed. All of these count up to marks, and a certain number of marks is required to earn White Feather. 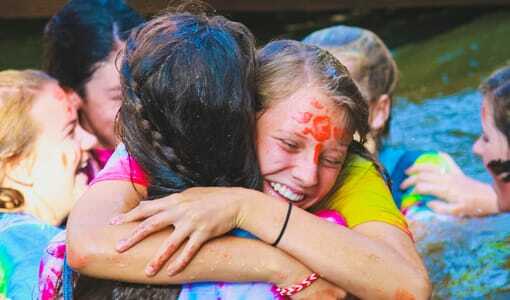 Congratulations to Anne Dillon and Caroline for their incredible commitment to and love for camp. We are so very proud of you. Dinner on Sundays consists of a cook-out with hamburgers and hot dogs, set up buffet-style outside! Everyone sits together around benches and picnic tables—many tonight admiring the overalls and plaid ensembles worn by the Sunnyside, Cloud Nine, Dreams End, and Dreams Begin campers as they prepared for their hillbilly-themed Prom tonight! As I write this, they are dancing the night away in the Mike, our gym, with all of their best friends and taking prom-style photos against a backdrop for you to survey on the website later. After dinner, everyone gathered for our Vespers program of funny skits and contemporary songs performed by our very own band, the Black Mountain Oysters (fondly referred to as BMO), which is made up of musically-inclined Merri-Mac and Timberlake counselors. Timberlake Program Director Matt Hansen, telling a story about how his mother did not recognize him after he returned home from college having grown a beard, spoke about how God knows and loves each and every one of us and adopts us each as His sons and daughters. 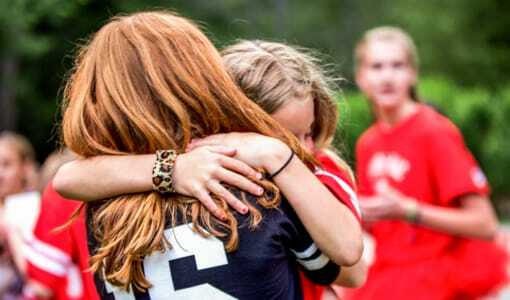 We at Merri-Mac are so very grateful that God has given us a day of each week to rest and rejuvenate our bodies, minds, and souls to prepare for another week at camp. 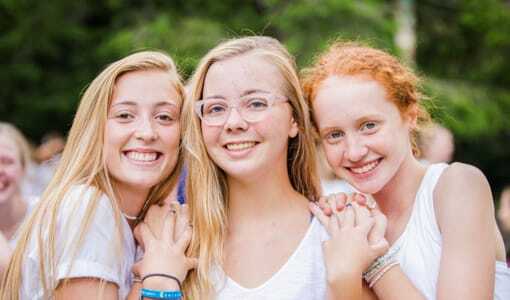 Many of your daughters, granddaughters, sisters, nieces, and friends will be returning home to you this week, and we are sure they will come back with plentiful smiles and stories of fun, friends, and adventure. Thank you, from the bottom of our hearts, for entrusting them to us, for their joy is infectious, and their hearts touch ours each day.